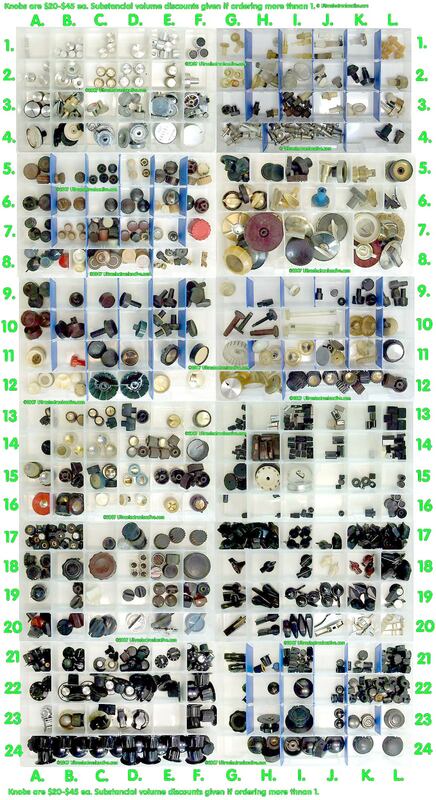 Knobs for audio equipment, radios, record players, stereo consoles, guitars, guitar amplifiers, military equipment, test equipment and TVs form the 30's through the 80's. These Knobs are typically $20-$65 ea., but are deeply discounted if purchasing more than one item. or $12.00 for international priority mail shipping. ->Cables & Connectors etc HERE! ->Repiar parts for specific viatage audio equipment HERE!